Finding the absolute best option for hardwood floor refinishing Rosedale has available can be extremely difficult. There are so many choices between professional refinishers, all the way to DIY projects. Luckily, Fabulous Floors has years of experience and a proven method! On top of that, our technicians are passionate about helping you get the dream home you’ve always wanted. Customer service is our #1 priority. You can expect a hassle-free experience with us from start to finish. 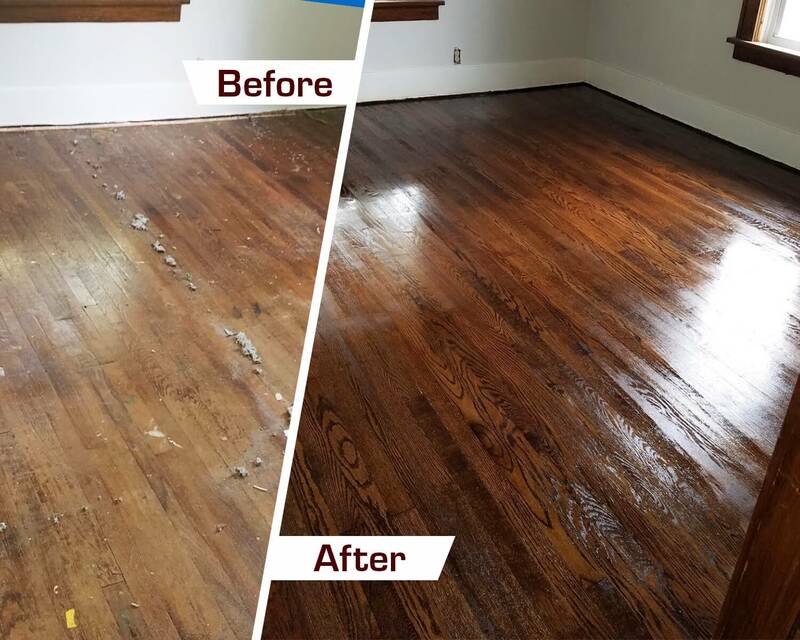 We have years of experience refinishing and resurfacing hardwood flooring, giving us the expert know-how to make your home shine once again. If you’re looking for professional wood floor refinishing in Rosedale, we’ve got you covered. When it comes to any job of ours, each is individually different. We have developed a proven process that works every time! 1. Evaluate your floor and explain the entire process of refinishing, while answering any and all questions you may have. 2. Professional sanding equipment is used to remove any scratches, dents or dings. 3. Stain your wood flooring with a color you love this makes for exciting and new color combinations). 4. Once dry, we apply a long-lasting polyurethane finish to protect from future damage and extend the shine. Our wood floor refinishing service takes just a couple of days. On top of that, we have a Greenguard Certification. This means that our entire process is safe for you and your family (not to mention the environment).